I don't know about you, but one of my favorite things is jam. And cookies. And fig. Maybe three favorite things. 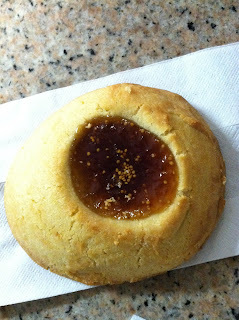 But one thing that I especially like are fig jam cookies. I had the pleasure of consuming such a product the other day. A friend made it with a shortbread recipe that tasted uber, uber good. He used real fig jam in the center, and you can actually see the seeds inside. 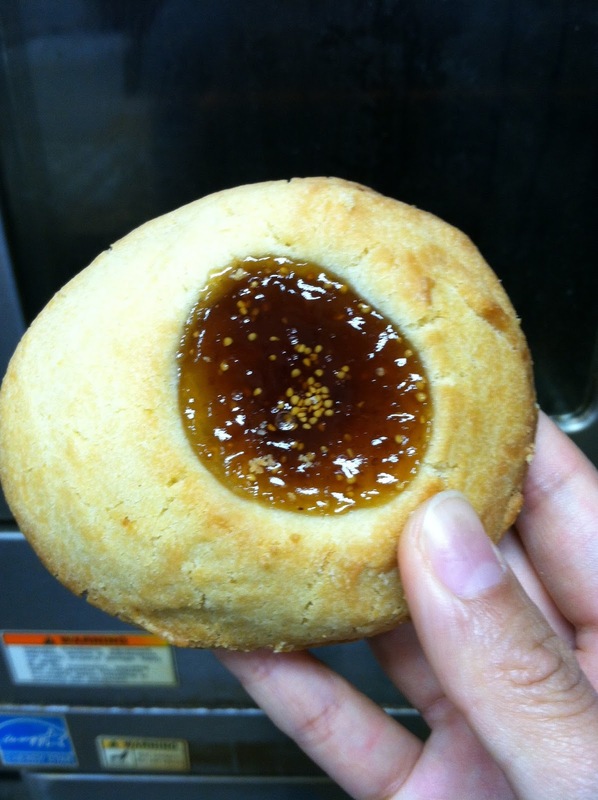 The fig jam is baked until it has an almost plastic-y glaze, and the cookie is a light golden color, making it look like a ripe fruit. The rest of the cookie was made from a shortbread cookie recipe. It's really nice and soft, like a cross between a chewy choco chip cookie and a crumbly shortbread cookie. The dryness was just the right degree so you can enjoy a nice cup of coffee while you're munching on this. Be careful though: you need to save at least 10 minutes to savor this cookie. I didn't have the liberty of doing so, which meant stuffing my face with the chewy jam and shortbread between gulps of coffee.